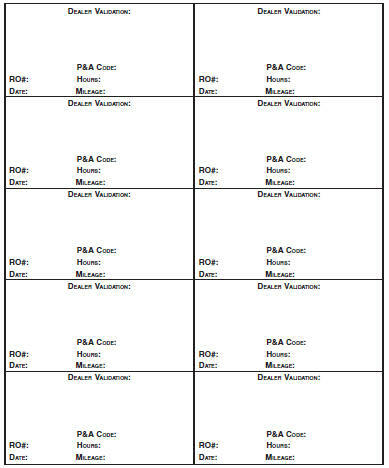 If you operate your vehicle primarily in any of the following conditions, you need to perform additional maintenance as indicated. 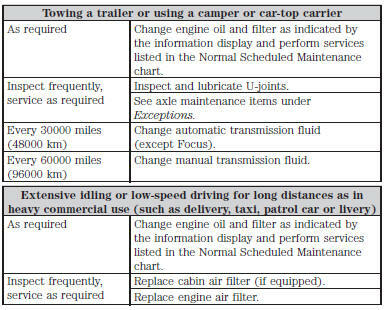 If you occasionally operate your vehicle under any of these conditions, it is not necessary to perform the additional maintenance. 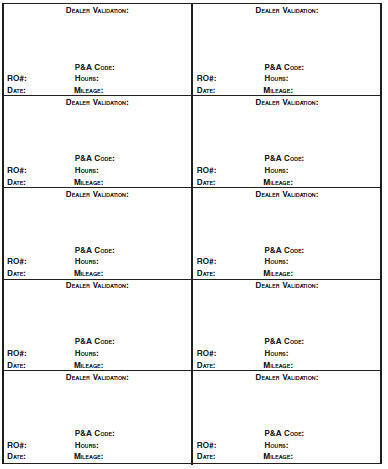 For specific recommendations, see your dealership service advisor or technician. 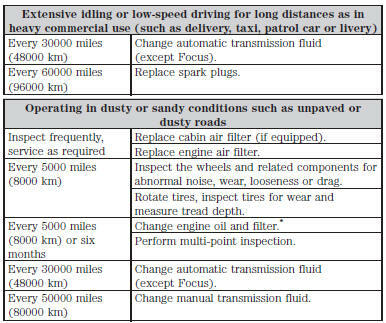 Perform the services shown in the following tables when specified or within 3000 miles (4800 kilometers) of the OIL CHANGE REQUIRED message appearing in the information display. The OIL CHANGE REQUIRED message comes on at 28751 miles (46270 kilometers); perform the 30000 mile (48000 kilometer) automatic transmission fluid replacement. *Reset your Intelligent Oil-Life Monitor after each engine oil and filter change. See the Instrument Cluster chapter.